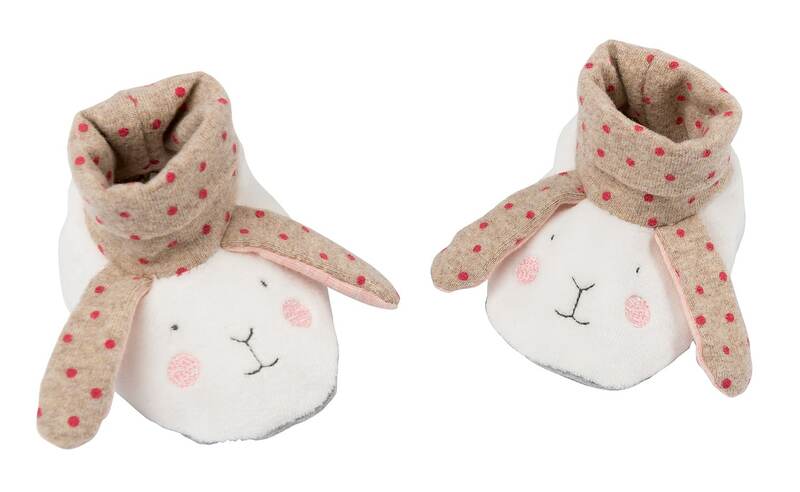 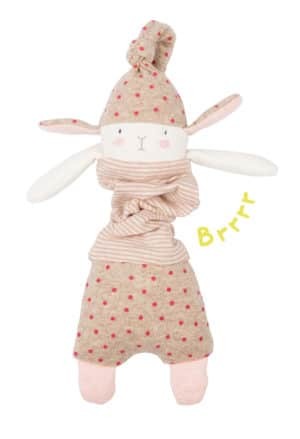 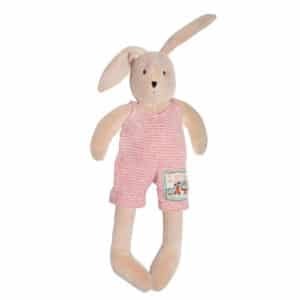 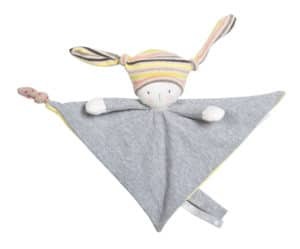 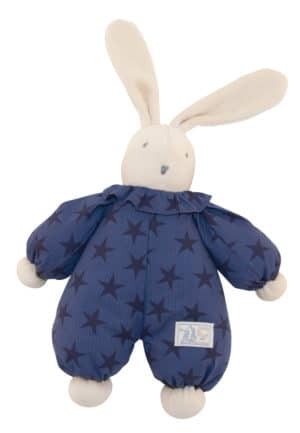 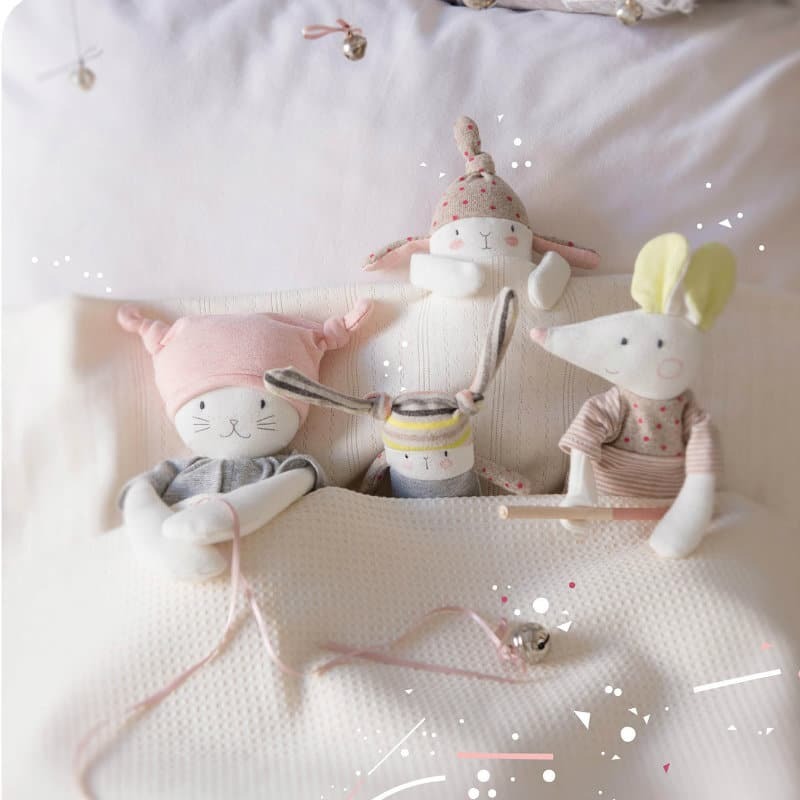 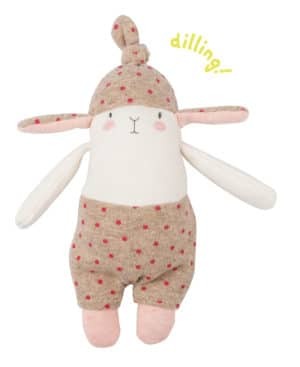 These sweet rabbit slippers will keep your baby’s feet cosy and warm. 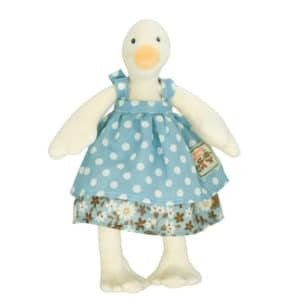 They are made of soft white velour with polka dot fold down cuffs in stretch jersey to help keep the slippers secure. 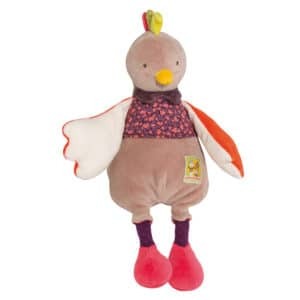 The soles of the slippers are of grey jersey lined internally with velour, and their cute little faces are embroidered.